Back in March, I wrote about catching up on some worthy middle grade gems from 2012 and 2013. "No, no, me! Pick me up instead." "Don't listen to them. Over here. Me me me!" Sometimes, you just have to buy the book that's pestering you. But unless you've won the lottery, you can't afford to buy them all. Times like this I miss working in a bookstore, where I had thousands of ARCs vying for my attention. I still couldn't read them all, though I certainly tried. Back then, I read quickly, and I read as a bookseller. Now, I go to the library and I try to read as a writer. Here are three more worthy novels from 2013 you should add to your TBR list (yes, I'm evil that way!). Bonus: they're all historical fiction, about different time periods in American history. Synopses: from the publishers (edited slightly for brevity). It's 1972 and life will never be the same for Red Porter. He's growing up around black car grease, white fence paint, and the backward attitudes of the folks who live in his hometown, Stony Gap, Virginia. Red's daddy, his idol, has just died, leaving Red and Mama with some hard decisions and a whole lot of doubt. Should they sell the Porter family business, a gas station, repair shop, and convenience store rolled into one? When Red discovers the injustices that have been happening in Stony Gap since before he was born, he's faced with unsettling questions about his family's legacy. 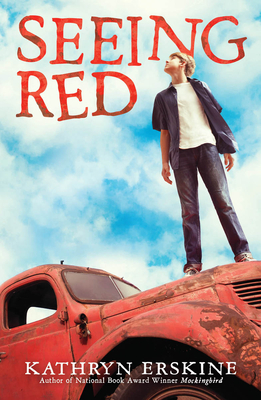 Why I recommend it: I loved Red; he's a realistic, flawed and yet likable character. Writers, read this one to learn about character growth. 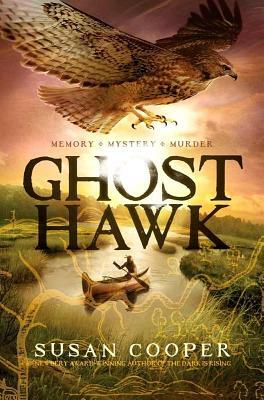 On the winter day Little Hawk is sent into the woods alone, he can only take a bow and arrows, his tomahawk and the metal knife his father traded for with the new white settlers. If Little Hawk survives three moons by himself, he will be a man. John Wakely is ten when his father dies, but he knows the friendship of the nearby tribes. Yet his fellow colonists aren't as accepting. John's friendship with Little Hawk will put both boys in grave danger. It's been two months since Lizzie's daddy disappeared due to the awful Depression. Lizzie's praying he'll return to Bittersweet, Alabama for her birthday. It won't feel special without him, what with Lizzie's Mama being so sad she won't even talk and the bank nipping at their heels for the mortgage payment. As time passes, Lizzie can only picture her daddy's face by opening her locket. If others can get by, why did her daddy leave? If he doesn't return, how can she overcome the same obstacles that drove him away? Why I recommend it: For some reason, I can't get enough of books about the Depression (Moon Over Manifest being a favorite). 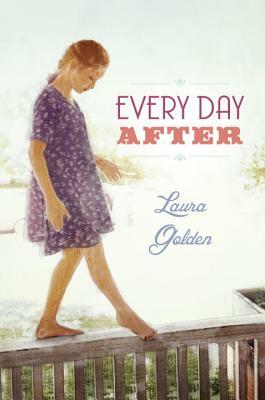 Writers, read this touching and inspiring novel for the voice. How do you handle your TBR list? Synopsis (from the publisher): Jack, Frances, and Frances’s younger brother Harold have been ripped from the world they knew in New York and sent to Kansas on an orphan train at the turn of the century. As the train chugs closer and closer to its destination, the children begin to hear terrible rumors about the lives that await them. And so they decide to change their fate the only way they know how. . . . There, in the middle of the woods, they meet a boy who will transform their lives forever. His name is Alexander, and he tells them they’ve come to a place nobody knows about—especially not adults—and “where all children in need of freedom are accepted.” It’s a place called Wanderville, Alexander says, and now Jack, Frances, and Harold are its very first citizens. Find other MMGM links at Shannon's blog. last week was Screen-Free Week. Well... let's just say, it was even harder than last year. Checking email three or four (or ten) times a day has become so ingrained that I found it super difficult not to. We research and we communicate electronically now, so it was downright weird to pull back. But I also put off starting to query my third middle grade novel until now. It needed more revision anyway. Surprisingly (or not, depending on your opinion of television), it wasn't that hard to stay away from TV, except for, you know, Jeopardy! Hey it was Battle of the Decades. I couldn't resist. What about you? Did you participate, even for part of the week? How did it go? Would you consider participating next year?